It happened. Another year is gone. 2018 we barely knew ye. Now that the new year is here it’s time to shake off the holidays and get back to work. And if you’re in the market for new drivers, which if you’re a fleet you are, January could be one of the best times for you hire drivers all year. Maybe it’s the lingering Christmas spirit, maybe it’s the optimism of a brand new year, maybe it’s a wealth of new drivers following through with new year’s resolutions. Or maybe it has something to do with more and more drivers looking for work this time of year. How do I know that? The data doesn’t lie. The number of searches for “truck driving jobs”, “jobs for truckers”, and other search queries related to truck driving all spike from November to January every year. What Does the Data Say About Hiring Drivers in January? Not only are more people looking for trucking jobs in January, but the cost to fleets is lower than most any other time of year. So, there are more truckers looking for jobs and it costs you less to hire them. Sweet deal huh? Don’t believe me? Take a look for yourself. This data was gathered by analyzing seven fleets to see any correlations over time in regards to CPH. As you can see there is a pretty big dip in CPH in the month of January…which is the month we happen to be in right now. So, what does this mean for you? Think about it like this. If you ran the exact same campaign mix with the exact same ads with the exact same budget you would actually get an increase in leads of anywhere from 10-25% in January as compared to December. And that’s with everything remaining exactly the same. So, the real question you have to ask yourself is what do you want? Do you want to grow, or do you want to take full advantage and REALLY grow? Remember your leads could jump as much as 25% without doing anything different. Being aggressive could skyrocket those figures. Look, I get it. 2018 is finally in the rearview and we’re just getting started with 2019. A lot of fleets out there like to take a breath and take stock of where they’re at to ease into a new year. The only problem with that is there is only a short window of time with the unique advantages that January typically offers to fleets. The cost of hiring is the lowest you are likely to see all year. Couple that with an influx of drivers looking for work as we head into the new year and you have a recipe for recruiting success. But, you have to be willing to pull the trigger and take advantage of the opportunity. Don’t drag your feet and skimp or remain stagnant when it comes to spending money on lead gen or advertising for drivers. Especially during a time when you could really benefit from going all in. If you want to stay ahead of the competition and land the drivers you need you should at least consider increasing your January spending. It’s one of the few times during the entire year to consistently net more drivers at a lower cost. The money already goes further so why not really get the most of it? As the old saying goes, get while the gettin’ is good! 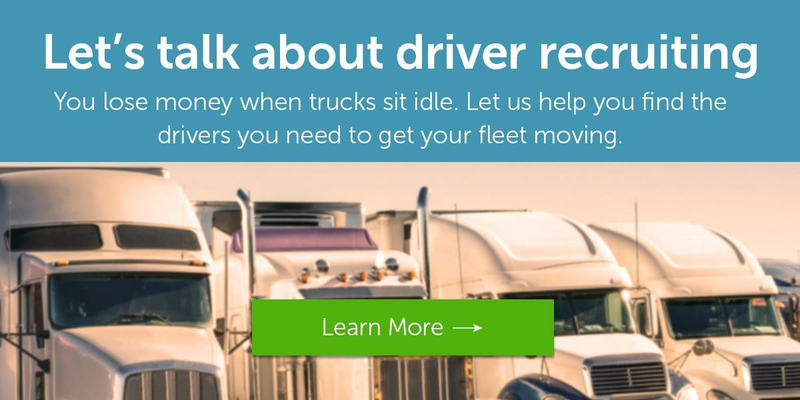 Get your fleet off to a strong start for 2019. Don’t make the mistake of missing out on some of the lowest costs for hiring drivers you could see all year. Not sure where to start or how to take advantage? No problem! Let us know. The data guru’s at Randall-Reilly do more than just crunch numbers and figure out when the best times are to hire; they work with fleets just like yours to figure out the best ways for you to hire the drivers you need. Start your new year off the right way and get the drivers you need today.